San Juan, the most popular tourist destination in Puerto Rico. It is the most convenient getaway in the Caribbean with daily flights from major cities in the USA at competitive rates. 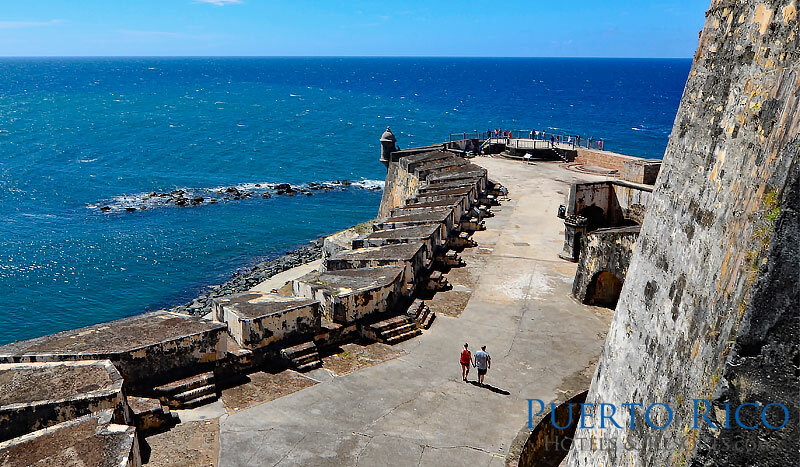 San Juan offers visitors a variety of beaches with beachfront resorts, the historic Old San Juan with world class attractions, and a great location to explore many wonders around the island in addition to island hopping day adventures from the nearby airport. Foodies will be delighted with the choices of restaurants in the city from fine dining to delectable choices at Food Trucks. Travelers seeking for a blissful tropical escape, with the ultimate luxury and privacy, ought to consider the town of Dorado, situated along the northern coast of Puerto Rico about 30 minutes from the capital city of San Juan. 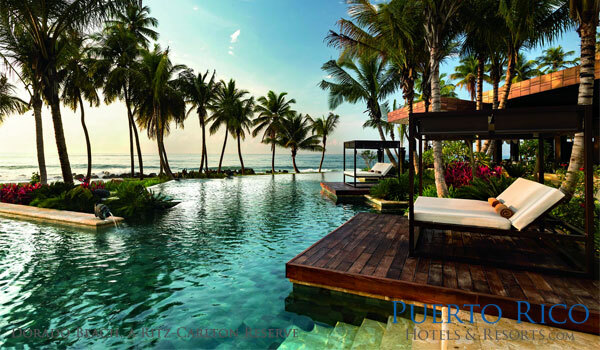 Dorado is well known for the luxurious Dorado Beach, a Ritz-Carlton Reserve. Dorado is a golf resort community offering numerous world class courses. The more budget minded traveler has various hotel options just steps from the beach or nearby. Various resorts offer a variety of activities, in addition to all the tours and day trips a visitor can take around the island. Search for hotels and resorts in Dorado, Puerto Rico. Rio Grande has been positioned as one of the best luxury resort destinations in Puerto Rico, but Rio Grande also offers various more budget friendly options such as aparment rentals and more family friendly hotels. Choose from luxurious beachfront resorts along quiet beaches with fine golf courses and pampering spas. A resort / hotel stay in Rio Grande gives travelers easy access to the enchantment of El Yunque National Rainforest. Rio Grande is a short drive from San Juan, Luquillo and Fajardo where visitors can explore a bioluminescent bay, one of the most popular beaches on the east coast and the colorful Old San Juan. 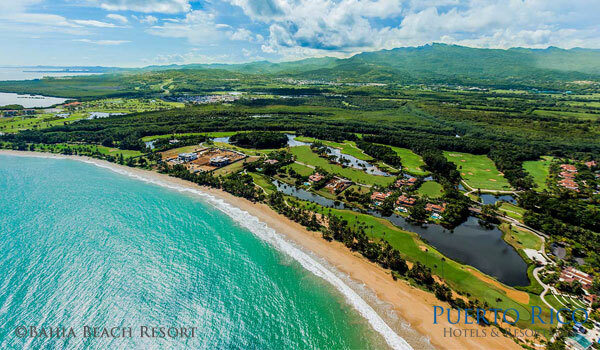 Search for hotels and resorts in Rio Grande, Puerto Rico. Isla Verde, an exciting city beach destination, often placed on top travel lists. Isla Verde is a district in the municipality of Carolina, home to the main international airport of Puerto Rico commonly known as San Juan Airport. The proximity to the airport, the many choices of great hotels and beachfront resorts, dining choices, water sports, the great beaches of Isla Verde, and the proximity to more great beaches makes Isla Verde one of the best destinations in Puerto Rico for tourists seeking for a weekend retreat in the Caribbean. 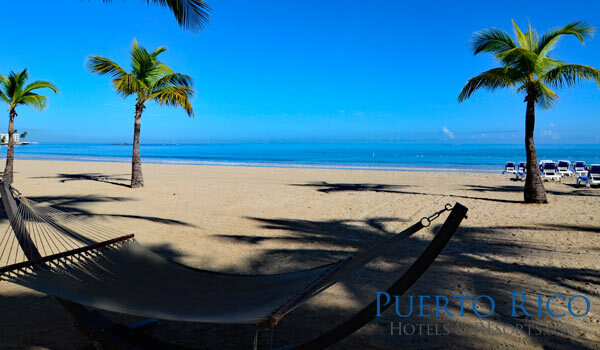 Isla Verde offers hotel options from luxurious to cheap hotels and apartment rentals just a short walk to the beach. Check deals on hotel and resort deals in Isla Verde, Puerto Rico. 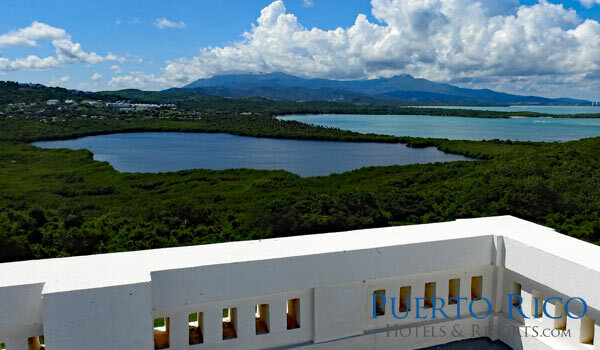 Fajardo has its own natural treasures making it an interesting place to visit, but the amazing El Conquistador Resort makes Fajardo one of the best destinations in Puerto Rico with Palomino Island as a glorious bonus. Fajardo offers a small inn easy on the budget and a few vacation rentals. 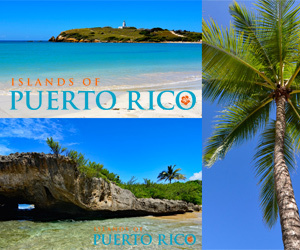 Fajardo is the best island hopping destination, take the ferry to the sleepy islands of Vieques & Culebra, book a charter to Icacos...and don't miss Palominito Island, one of the locations of Pirates of the Caribbean. Check deals on hotel and resorts deals in Fajardo, Puerto Rico. Vieques is one of the most beloved destinations in Puerto Rico and the Caribbean. Vieques is a unique destination with a wide variety of accommodations from the luxuriously chic W Retreat & Spa to intimate small inns and cheap hostels. Vieques is an island off the east coast of Puerto Rico, home to the brightest bioluminescent bay in the world. Beach lovers can beach hop all week long exploring quiet picture perfect coves with excellent snorkeling spots right off the beach. 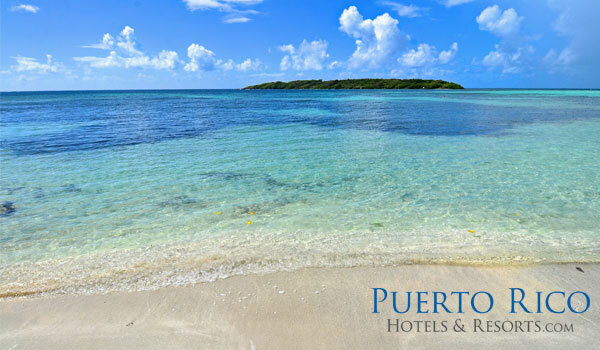 Search for deals on hotels and resorts in Vieques, PuertoRico. You may not have heard of Culebra, but most likely you've heard the name Flamenco. This sleepy unexploited Caribbean island is home to Flamenco Beach, one of the top 5 beaches on the planet. Culebra is just off the northern east coast of Puerto Rico, well worth the additional flight. Culebra has not been exploited by tourism, and those that love the island want to keep it that way. You can stay at small inns, guest houses, villa and apartment rentals. 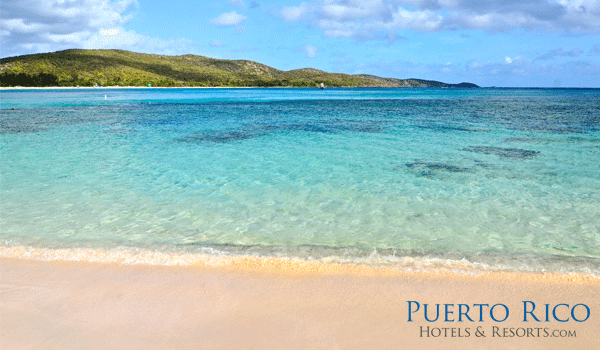 Check for deals in hotels and resorts in Culebra, Puerto Rico. Rincon, a laid beach town famous, known for its great surfing beaches and colorful sunsets. 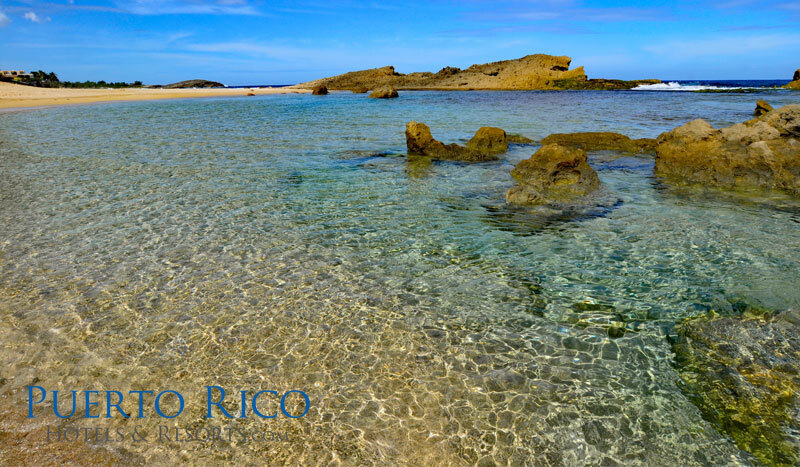 Rincon is on the west coast of Puerto Rico. Surfing season is during winter months, but surfers come here all year round. Nightlife is casual and lively with many beachside restaurants, warm Puerto Rican culture and town events. There are various beachfront resorts as well as intimate small luxury hotels attracting those that prefer privacy and quiet beaches. There are many budget friendly hotels and rentals, everyone can afford a stay in Rincon and experience an authentic island vibe. Check for hotel and resort deals in Rincon, PR. Isabela, a destination that is truly a fantastic place with great beaches and surfing all year round. This coastal town on the northwest coast of Puerto Rico has a lot to offer for nature lovers, beach bums and surfers. One of the most exclusive luxury golf resorts is in Isabela, with a few small hotels and small inns attracting families and honeymooners. With a car rental, visitors can explore beaches with a dramatic landscape and natural pools to enjoy without large crowds. Check for hotel and resort deals in Isabela, Puerto Rico. Aguadilla is is located right on the northwest tip of the island of Puerto Rico. Aguadilla has the second international airport in Puerto Rico making it a convenient destination for travelers coming from Orlando and New York City area. Aguadilla also sports surfing beaches, locals argue some of the best on the island. Aguadilla is not a touristy town, but it has various beaches for the adventurer, and is a great location for travelers who prefer to be on the road to explore nearby towns. There are various hotel options affordable for young families on a budget, a stay in Aguadilla offers many wonderful day trips with easy access to major roads. 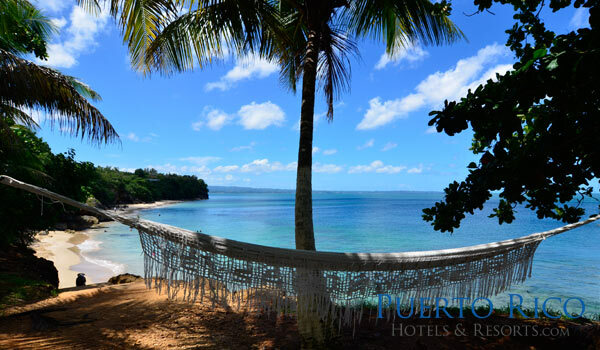 Check deals on hotels and resorts in Aguadilla, Puerto Rico. Guanica is the best hiking destination in Puerto Rico and perhaps one of the best in the Caribbean. There are only a few hotels in Guanica, one is very much loved by locals and international travelers seeking for a true off the beaten path feel, privacy and quiet. There are a handful of beaches to explore and an offshore cay with the clearest water on the main island of Puerto Rico. 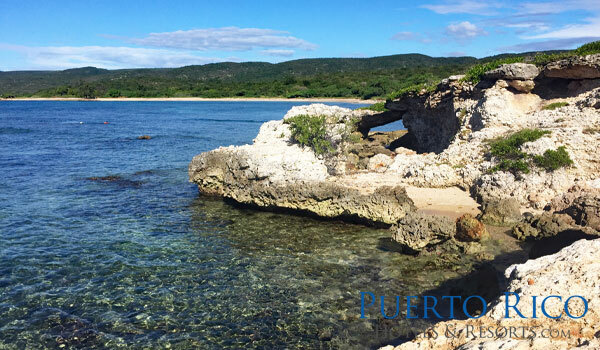 Explore the Guanica State Forest, a United Nations Biosphere Reserve where can numerous hiking trails to explore. Search for hotel deals in Guanica, Puerto Rico.